“Don’t play with your food!” My mom screamed that at me a million times when I was a kid. Now that I’m an adult (which is still weird for me to admit), I’ve finally found a restaurant where I can’t be scolded by my parents. At The Crab Pot in Seattle you get a bib, a mallet and a bucket full of seafood dumped on your table. It’s your mom’s worst nightmare, but a seafood lovers dream. As we’ve mentioned before, Tove and I drew up a Seattle staycation when I first moved back to the city last year. 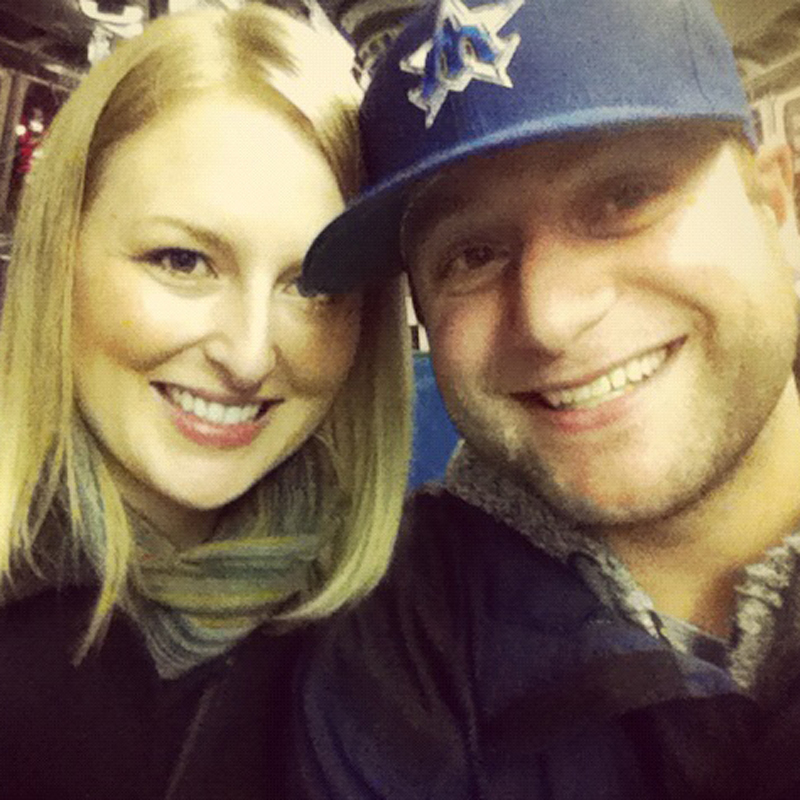 We wanted to do what all the tourists do in Seattle (The Great Wheel, the Space Needle, Pike Place Market, etc. ), including a trip to The Crab Pot. I’d never been to The Crab Pot (1301 Alaskan Way) before and Tove had never even heard of it, so we introduced ourselves to what turned out to be the most bustling seafood restaurant in Seattle. You can usually walk right into your favorite joint at 8pm on a Monday night, but not the Crab Pot in August (one of the peak months for tourists in Seattle). We had to wait to be seated (I’m sure it’s much worse on the weekend), so we killed time at an empty table in the bar (they don’t serve the full menu in the bar — otherwise we would have just stayed there). After about 20 minutes, we were finally seated on the outdoor patio. I would definitely recommend sitting outside on a nice night (even though it might make your wait a little longer). Since The Crab Pot is located on the waterfront (literally on Pier 57), you either get a view looking toward city or out onto the water. It’s tough to find an atmosphere like that anywhere else around Seattle (aside from the other restaurants on the waterfront, I guess). Tove and I ordered oysters to start (that’s when we were told about the killer happy hour at Elliott’s Oyster House) and then picked one of the Crab Pot’s “world-famous seafeasts” for dinner. There are several different options, but we went with The Westport, which includes Dungeness crab, snow crab, shrimp, steamed clams, Pacific mussels, andouille sausage, corn on the cob and red potatoes. It’s just as massive as it sounds (and it’s one of the reasons the Crab Pot was featured on Travel Channel’s ‘Man vs Food’). I’ll be honest…the food was good, but it’s not the best seafood in town. For $26 per person (the cost of ‘The Westport’ — other seafeasts range from $16 per person to $39 per person), I was really hoping to be blown away at The Crab Pot. Tove about hammer on some seafood at The Crab Pot. While the food didn’t totally knock my socks off — the atmosphere did (and that’s what you pay for at The Crab Pot). 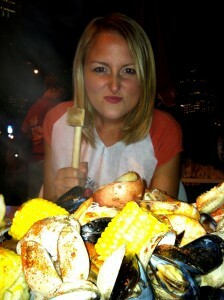 You honestly can’t beat sitting on the Seattle waterfront in the summer, smacking your food with a hammer. Are there better seafood restaurants than The Crab Pot in Seattle? Yes. Are there other seafood restaurants in Seattle that can match The Crab Pot experience? No. If you’re looking for something “different” in the Emerald City, this is your place. Just be careful with those hammers! What do you think? Is The Crab Pot worth the price/crowds? How did you feel about the food? I would love to hear from you! Simply leave a message below or connect with us on Twitter, Facebook and Google+. Don’t forget to also check out Seattle Bloggers for more great places to eat and drink in the Emerald City. I can’t believe I’ve lived across the water from Seattle for so many years and have never been to The Crab Pot. I’m going to have to take Chris soon. Maybe we should meet up for a double date! This place is so fun! 🙂 We’d love to go on a double date with two of the coolest cats we know!